The moment we step under the palm thatched roof, it starts to drizzle. “You brought the rain!” jokes Mariluz, the borrower I have come to visit. Her home, in the northeastern corner of Bolivia, is a simple, 2-room set up, with the thatched roof covering the area that fronts it. This is where she works and where 2 of her youngest play in a hammock, a parrot sometimes joining them. Around us is lush greenery, thanks to a long rainy season and, apparently, our arrival. During our conversation, Mariluz sits astride a bench on which a hand grinder is mounted, churning away. The grinder was purchased with a Kiva loan and means that Mariluz no longer needs to rent one at a high cost. 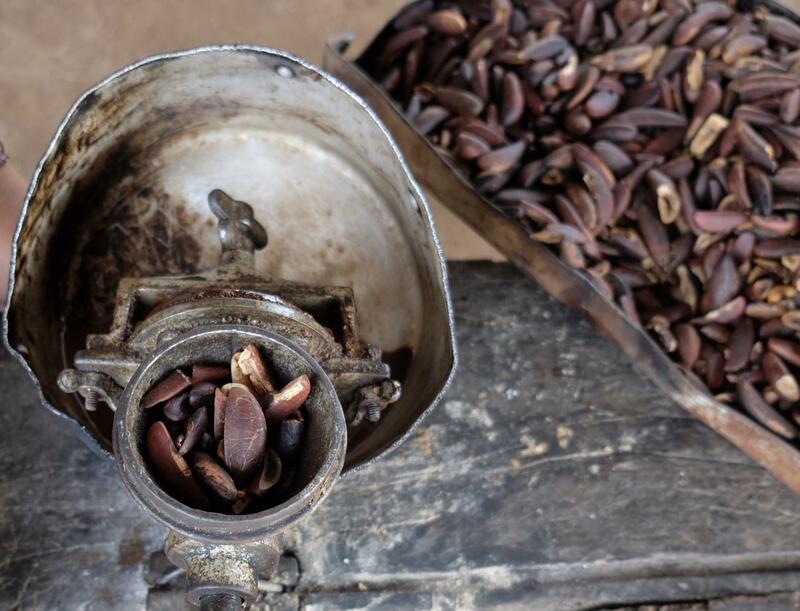 Mariluz picks up toasted cusi nuts from the large bowl beside her and drops them into the grinder, using her own force to eek out the oil. She stops occasionally to playfully shoo away the 2 younger children who try to sneak some nuts for themselves. 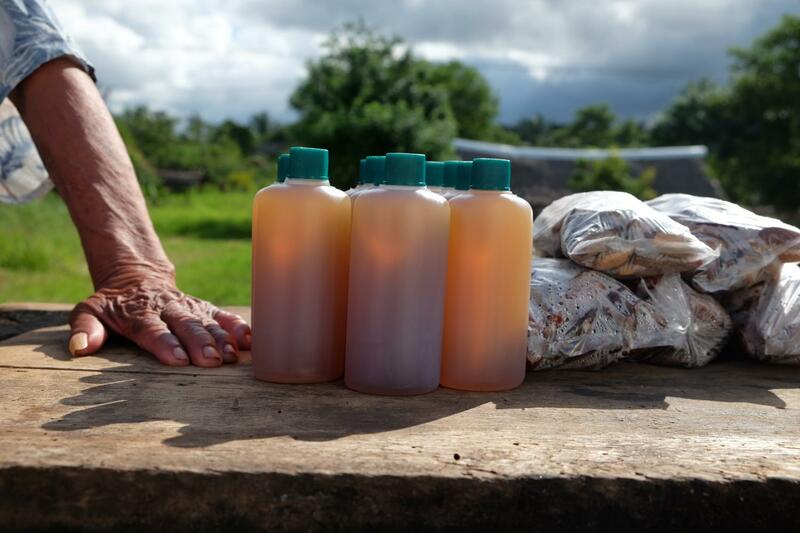 Once enough oil is collected, she bottles it and leaves the oil in the sun to settle before removing any impurities. It is very much a family operation, with 1 of Mariluz’s teenage daughters deftly axing open the hard shell to extract the nuts within and her father manning the stand by the side of the road. Cusi, or babasú as it is known in Brazil, grows everywhere in this eastern region of Bolivia, about 4 hours north of Santa Cruz and with a landscape so green it looks permanently wet. Farming and livestock have meant that many of the trees have been felled, but there are still a number growing wild between fields with monkeys in their boughs. Cusi oil itself has a list of benefits, some real and some exaggerated; in this way it's not so unlike coconut oil. These include being anti-inflammatory, good for cooking, moisturizing, antimicrobial and antioxidizing. 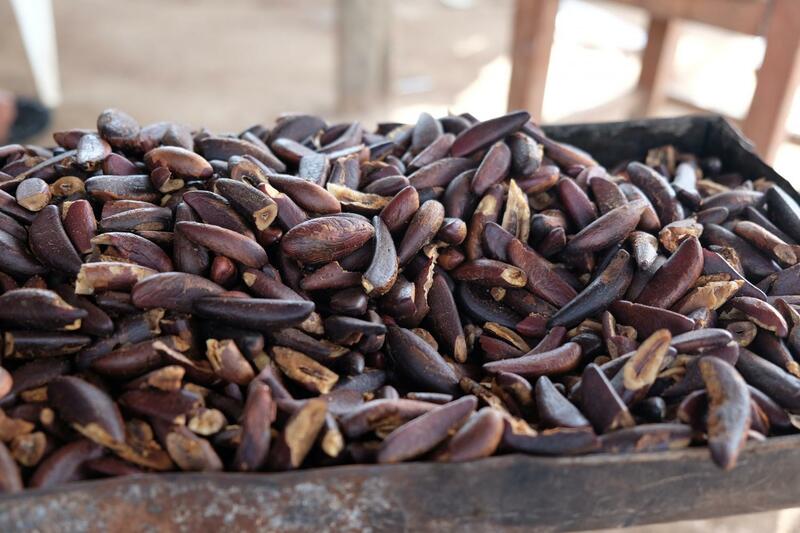 As if that wasn’t enough, cusi oil is said to have a regenerative effect on skin, nails and hair. Mariluz focuses mainly on the benefits it has for hair. She explains, casting an eye at my frizzy, humidity-stricken hair, that cusi oil makes hair silkier and stronger. The manager of the loan office, who, along with Mariluz’s loan officer, accompanied me, tries his hand at cracking open a cusi shell with a small axe. But it's harder than it looks. In the end, the only thing he produces is a dented shell and a lot of laughter. 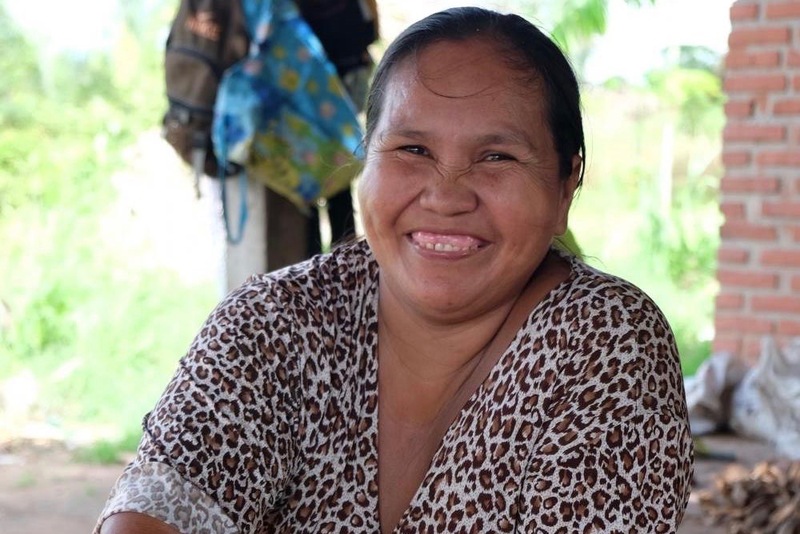 For her part, Mariluz has ambitions to do more than sell cusi oil and raw nuts at the roadside. She has ambitions to make cusi oil shampoos and soaps, and maybe to sell them in larger towns and cities nearby. To fund other rural loans in Bolivia and support more business like Mariluz’s, check out other loans from Sembrar Sartawi on Kiva.org. 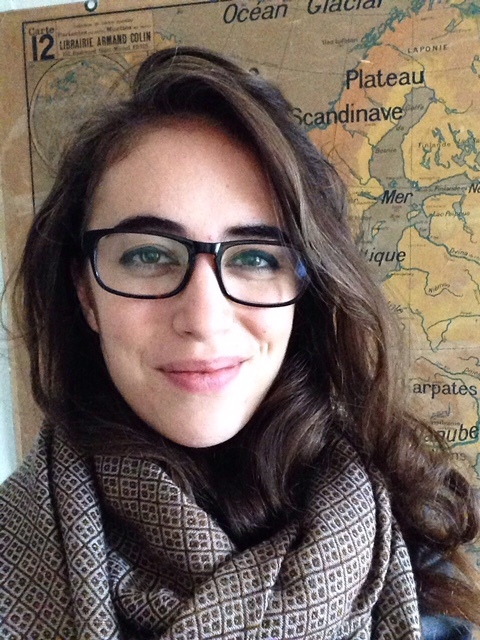 After about four years in London working in consulting, Charli left to change her career focus to nonprofit and humanitarian work. From volunteering at a Greek refugee camp to now starting to work with Kiva in Latin America. Charli has lived in five countries, travelled to many more, and hopes to continue exploring the world.